NUA BA (Hons) VFX students were treated to a masterclass on how the VFX for a hit TV series is created during March 2017. 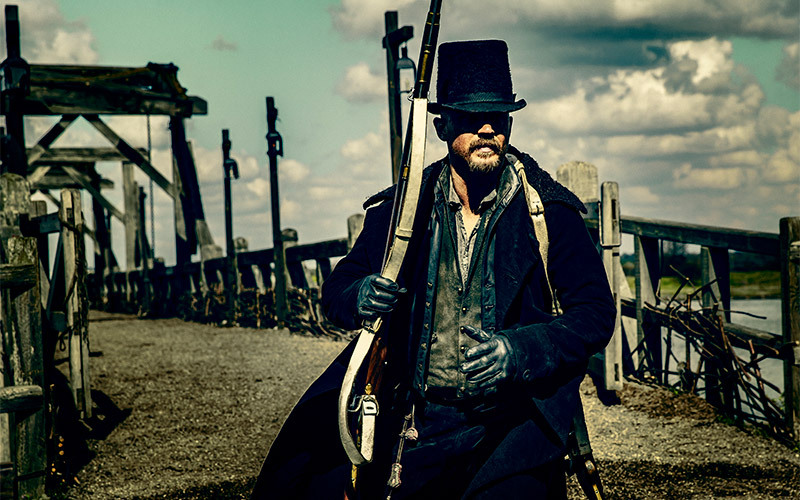 Henry Badgett, VFX Supervisor at BlueBolt opened up his computer hard drive to show how he researched, prepared and ensured the VFX for BBC’s “Taboo” hit TV series were perfect to evoke the menace and intrigue of Georgian London. Henry’s anecdotes and explanation of the role of VFX Supervisor for this flagship TV series gave NUA VFX students an unrivalled insight into VFX for broadcast TV. “There’s a level of diplomacy and people skills that you need” said Badgett “as well as the ability to think on your feet when on the film set”.